Look on the Bright Side – Kathy J. Marshack, Ph.D.
Doesn’t it seem like most people fall into one of two groups? There are the upbeat optimists who see the good in situations and then there are negative pessimists who tend to expect the worst. Which group are you in? If you tend toward the negative, then this article is for you! There are certainly times and situations that bring negative emotions. Processing those negative feelings is a necessary part of the healing process. What I’m talking about here, doesn’t apply to a fairly short-lived sad, angry, or negative period in your life. I’m referring to overall perspective on life – the way you view your life, your future, even the people in your life. Chronic pessimism inhibits your ability to bounce back from disappointments and life’s inevitable stresses. It can also strain relationships at home and at the workplace. But your perspective on life affects more than just how other people relate to you – it actually influences your health. 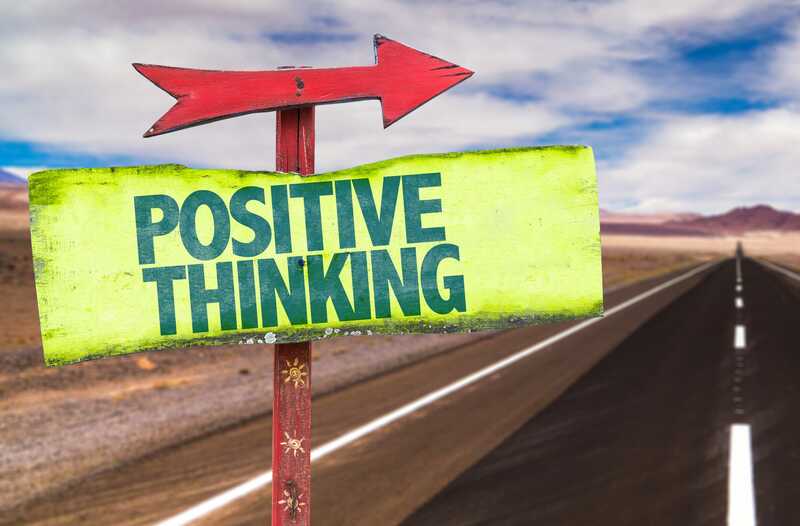 Recent studies are finding that optimistic people have better heart health than their pessimistic counterparts. (Read more about these studies in this NY Times article.) Optimists are more likely to eat a healthy diet, avoid smoking and overdrinking, and prioritize regular exercise than pessimists. As a result, they maintain healthier blood pressure, blood sugar, and cholesterol levels. Optimism helps patients heal faster from illness or injury and boosts the immune system to prevent colds and flu. The good news is that, with a little practice, you can become more positive. This isn’t a fake optimism. “Putting on a show” to look like you are feeling upbeat about life isn’t going to help. But you really can train yourself to feel optimistic from the inside out. This is done by re-training your brain to think positively. There are neural pathways in your brain that control emotion. If you tend toward negative thinking, the neural pathways for negativity become stronger, kind of like a beaten down path through the forest. A lifetime of pessimistic thinking can produce some beaten down negative pathways! Negativity becomes your brain’s go-to emotion. On the up side, your brain is capable of generating new pathways, and it’s possible to train the circuitry in your brain to promote positive responses. When you look for the good, you activate different neural circuits in your brain. Dopamine and serotonin production is increased, soothing and calming you. The more you stimulate these circuits in your brain, the stronger they become. Positivity will become a more automatic response. Begin each day with a positive thought. It will help you set the tone for how you will choose to think for the day. Live one moment at a time. Stop worrying about the past and the future. Focus on the present and making that day the best it can be. The practice of mindfulness helps many of my clients to focus and see the good in their day. Practice gratitude. Having a grateful attitude is linked to everything from better mental and physical health to greater satisfaction in life and relationships. Look for the moments, big and small, that you are thankful for. Do good for others. If you focus on thinking about other people and working to make their life better, you think about your own problems and worries less. This, in turn, keeps you from dwelling on the negative and moves you to focus on the positive. If your negative feelings run too deep, there may be something else in your life that needs attention. Stress comes when the different aspects of your life fall out alignment. I can help you identify where you are out of balance and guide you back into a healthy, productive alignment. Please contact my office to set up an appointment. I have an office in Jantzen Beach where we can meet in person or I offer online therapy if that’s a better fit for you.